Check out Credit packages available under the 'Get Credits' menu in the app. You can also buy Hushed Credits directly through the web using credit cards (Stripe) and Bitcoin (Coinbase)! Visit Hushed.com and click the 'Top Up' button for more info! Adding Credits to your account balance DOES NOT automatically Extend your numbers! Please make sure to click 'Extend' in the 'Number Settings' menu if you wish to keep your number. Credits are shared between both call/text usage across all Prepaid and Pay-as-you-go numbers. For example, SMS balance will also decrease when making calls on your Prepaid or Pay-as-you-go numbers. Swipe left on your Prepaid 'Number Settings' menu to view texts/minutes available using credits. When you run out of credits, you will no longer be able to send or receive calls/texts until additional credit is added to your account. For privacy reasons, Hushed does not store undelivered messages and are unable to restore missed messages due to insufficient credits. Usage Rates - How many Credits does it cost when calling/texting? 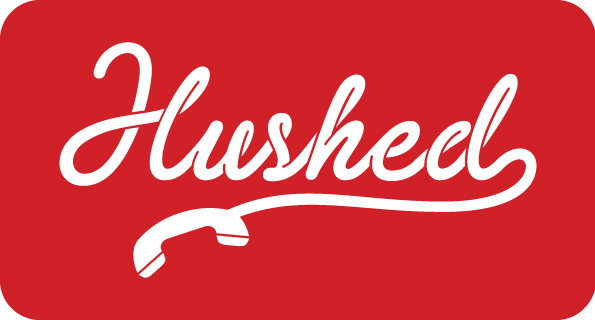 Methods of Payment - What type of payment methods are accepted on Hushed? Gift Cards - How do I redeem an app store gift card/code?